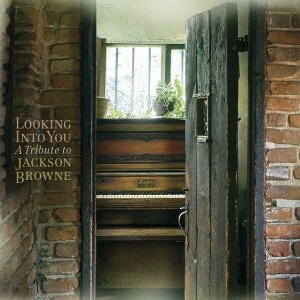 Split fairly neatly between his contemporaries and those who followed in his footsteps, Looking into You: A Tribute to Jackson Browne is a generous tribute to the quintessential singer/songwriter, running 23 songs over the course of two CDs. In all that space, the producers don't find much room for Browne's lighter moments -- his new wave and soft rock flirtations of the early '80s are absent, there's no "Somebody's Baby" or "Tender Is the Night," nor is the road warrior of Running on Empty emphasized, although Texan homebody Bob Schneider sings that album's title track -- and the predilection for ruminative introspection eventually gets a little heavy, but on a track-by-track basis this collection is very good. 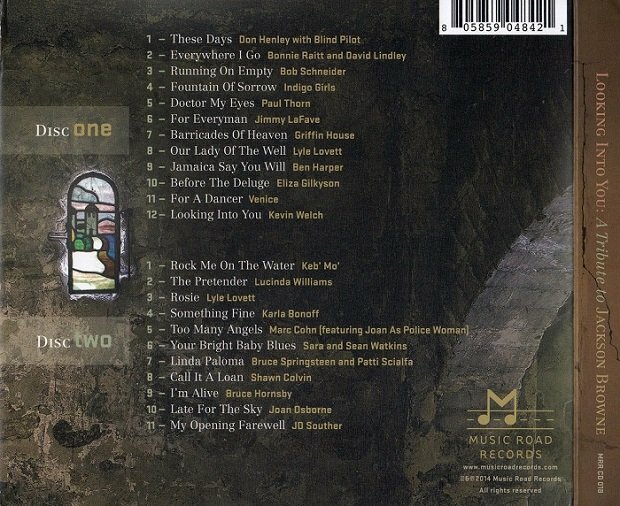 Perhaps Browne's contemporaries fare the best -- Bonnie Raitt and David Lindley team for a fine "Everywhere I Go," J.D. 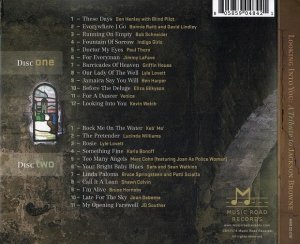 Souther sings "My Opening Farewell," Bruce Springsteen and wife Patti Scialfa team for "Linda Paloma," and Karla Bonoff resurfaces with "Something Fine" -- but there are also nice turns by Lyle Lovett ("Our Lady of the Well"), Paul Thorn ("Doctor My Eyes"), Sean & Sara Watkins ("Your Bright Baby Blues"), and the surprise duo of Joan as Police Woman and Marc Cohn ("Too Many Angels"). If there are no knockouts here, the sly, subtle approach also emphasizes the fine craft of Browne, which is a nice thing to say about a tribute album.